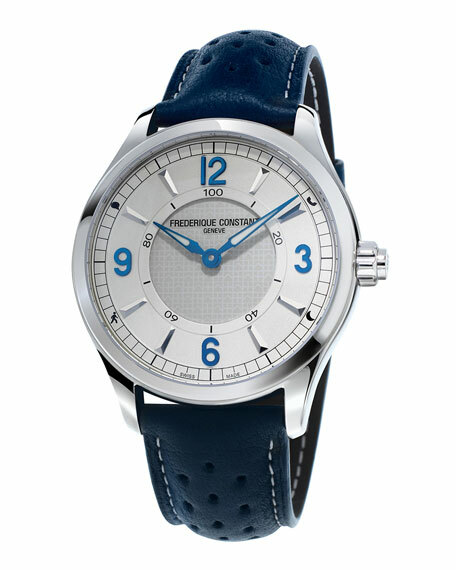 Frederique Constant watch from the Horological Smartwatch Collection. Arabic numeral and baton hour markers. Connects to MMT-365 App on smart devices. Features sleep monitor, smart alarm and active alerts. Missed call and new email notification. For in-store inquiries, use sku #2105946.